I am delighted to be beginning another year here at Beiseker Community School. Over the course of the year I will be teaching Social 20-1, Social 30-1 and Social 30-2. I will also be co-teaching a Science/Social 9 interdisciplinary course based on essential questions surrounding the theme of “Space Travel” along with Ms. Nixon. 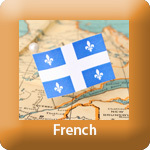 I am also thrilled to continue teaching French as a Second Language for students in Grade 4 through to Grade 12. It is very exciting how quickly our French program is growing! If you’d like to sign up for my parent/guardian links to Google Classroom (all grades) and/or Remind 101 (grades 10-12) please send me a message from your preferred email. I am looking forward to another fantastic year with all of you. Please feel free to contact me at any time.